Hey y'all. 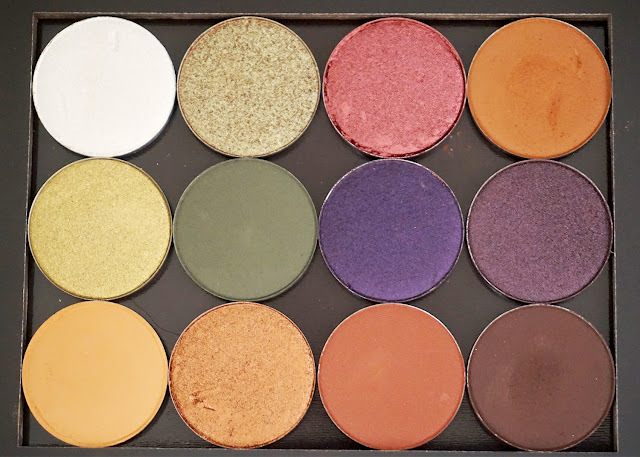 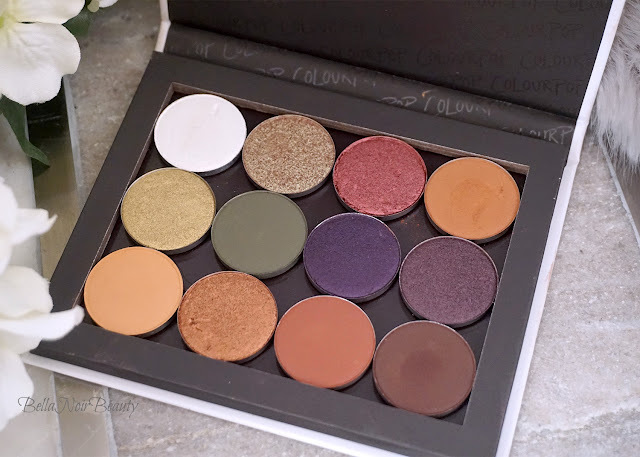 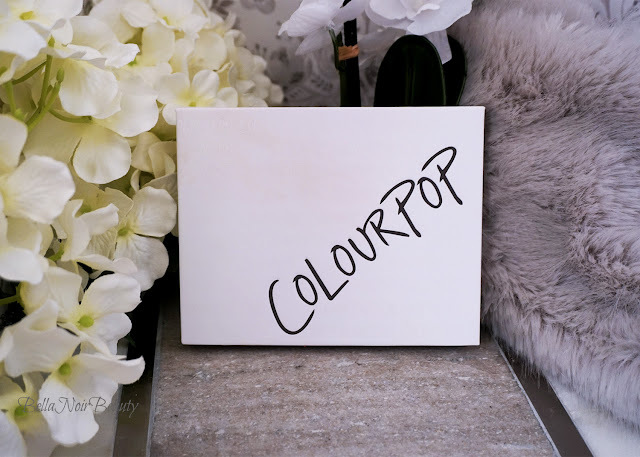 Today, I wanted to share the palette I created with ColourPop's powder shadows. 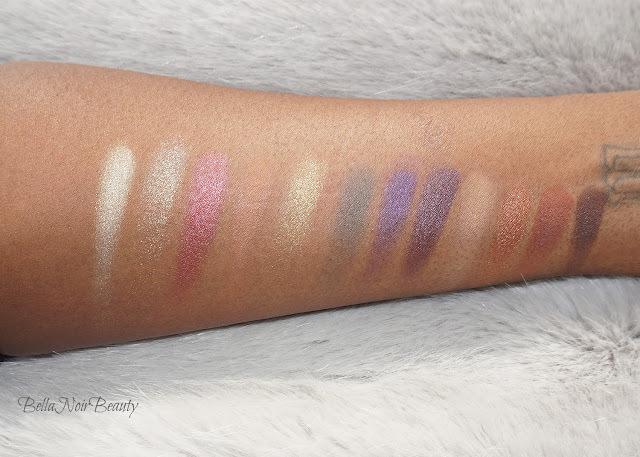 I'm in the process of editing a video on this, but here are some photos and swatches. I was going for purples and greens, which the brand doesn't have much of, but I think I made out well. 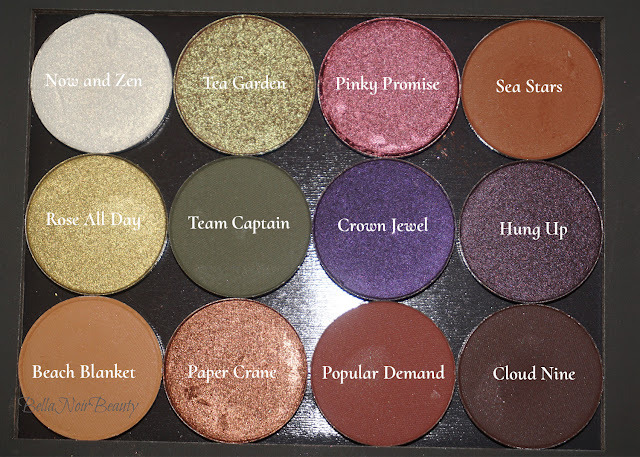 I added two colors I had already, Sea Stars and Beach Blanket to the palette as well, since they never had a proper home.